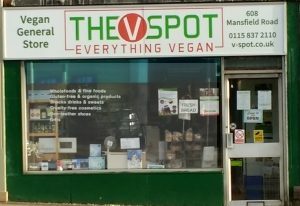 Our address is 608 Mansfield Road, Sherwood, Nottingham, NG5 2FS. We are less than two miles from Nottingham city centre. We are situated in the main shopping area of Sherwood, near to the Winchester Street junction. We are only 8 minutes from Nottingham city centre by bus. There are numerous and frequent buses passing, including NCT Lime line (No.s 56-59), Purple Line (No.s 87-89) and Blue Line (No.s 40 and 42) as well as the Calverton Connection, Pronto and Sherwood Arrow services. There’s even a stop for the National Express service between London and Retford. To get to us from the city centre, go to Upper Parliament Street and take any bus from stops P3, P4 or P5, alighting at the ‘Sherwood Shops’ stop. Use TravelLine to plan your journey. There is on-street parking right outside (maximum 30 minutes during the day) and a free car park just behind us on Winchester Street. We are close to the city centre and the ring road. There are cycle racks nearby, outside Wilko.